Kilmore, Victoria is the latest town to join our ever-growing network of the Australian National Busking Championships™. The Kilmore Busking Competition is a new event created by the Rotary Club of Southern Mitchell (Victoria) and the Kilmore Art Society. Our inaugural Regional Championship will be held on Saturday 13 April 2019. Our aim is to promote performance art to provide a performance and exposure pathway for emerging artists whilst also supporting the visual arts via the Kilmore Art Expo which will be held 12 -14 April 2019. 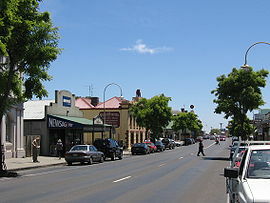 Kilmore is Victoria’s oldest inland settled town (Violet Town beat us by being gazetted first!) and has a fabulous history dating from the late 1830’s. Kilmore Historical Society are also on board and will be conducting some street tours on the day. Booking for events will be available 30 January 2019. Kilmore is located approximately 65 km north of Melbourne and is very accessible to Melbourne performers. Travel from central Melbourne is about 1 hour 15 minutes. The Championships will be held between 10am – 3.00pm. Three judges will be roaming on the day. However, the public will also be voting on their favourite performances. Winners in all categories – Primary, Secondary, Open & Peoples’ Choice will be announced at the Finals Concert held between 4pm – 6pm. Venue to be announced. There are also a number of $200.00 Judges Awards for performances that may not fit into the major categories. We are so excited about the Busking competition! In November we joined with the Australian National Busking Championships™ which are based in Cooma. This means the winners of our Kilmore Championships can go on to compete nationally. 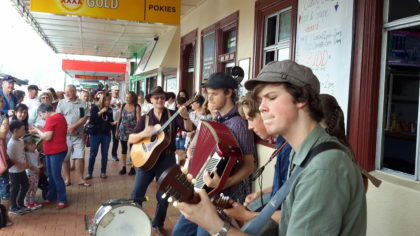 Buskers can perform for votes to win cash prizes and also for cash tips. We will be encouraging visitors to bring cash as well as cards to support performers. It’s going to be a great day out! This entry was posted in Australian National Busking Championships™ and tagged Australian National Busking Championships, Kilmore, Vic on January 23, 2019 by allan. Stanthorpe will again be hosting a regional competition for the Australian National Busking Championships™ in 2019. 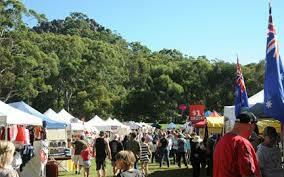 This event will be Stanthorpe’s fourth annual event and it will be all happening on Saturday 23rd March. This ANBC Stanthorpe Busking Festival has proven to be a winner for Stanthorpe, bringing musicians and street entertainers from all over Australia. It’s always a fun-filled family day with a huge variety of free entertainment on display. Local businesses and supporters generously provide prize money for the buskers and the local economy is enhanced by an increase in visitor numbers. In 2018, the Stanthorpe winners Haystack Mountain Hermits (open category) and Felicity Kircher (secondary age category) went on to take out the top awards at the ANBC National Grand Finals in Cooma NSW. ANBC Director Allan Spencer said “these Stanthorpe champions went up against the very best performers from six other ANBC regional finals from all around Australia. It was a credit to these wonderful musicians and a proud honour for Stanthorpe, because it was the Stanthorpe competition that gave them their chance at the nationals”. The regional busking festivals are designed to not only celebrate and reward the best performers but also to encourage everyone, young and old. The Australian National Busking Championships™ is now in its eighth year and has provided a great stepping stone for performers wanting to get into the entertainment industry. 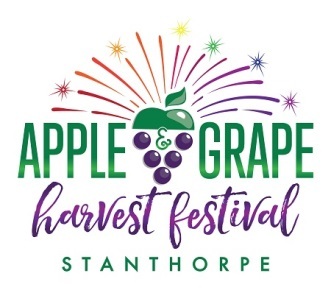 The Stanthorpe committee for 2019 is excited about continuing as hosts and is providing friendly encouragement to people of all ages and abilities to have a go and share their music or street performances with others. The 2019 event will be a perfect mix of music for Stanthorpe with busking during the day and finishing in time for Sounds in the Vines at the Stanthorpe Showgrounds from 4pm. Buskers interested in participating in the 2019 South East Queensland Busking Championships in Stanthorpe can contact president@appleandgrape.org or telephone 0400 750 351. This entry was posted in Australian National Busking Championships™ and tagged ANBC Stanthorpe, Australian National Busking Championships on January 14, 2019 by allan.